I once thought that grade school bullies were my worst enemies; that was before I picked up their tricks. Only one year of my life was spent being bullied by others, but it was plenty of time to learn how to bully myself for the next ten. It’s one of the most common defense mechanisms of our modern world: in case anyone may not find you worthwhile, be the first to suggest it’s true. My self-esteem went from minimal to nonexistent in just one year of elementary school. In response, when other people tried to take my value away, I started taking it before anyone else had the chance. In some ways, the ability to make fun of yourself is healthy. If done correctly, you may actually possess a high self-esteem that allows you to self-deprecate without self-loathing. If you aren’t careful, however, you can easily cross that thin line between humor and reality. The fear that others may see through your #flawless social media presence to the #flawed real person pushes you into a dangerous territory where you try to protect yourself by beating yourself up. Have a talent? Tell people you’re “not that good” or that you “just do it as a hobby.” That way, if they don’t think you’re good, they won’t think it means the world to you. Have an amazing personality trait? Tell people it’s “not that big of a deal” or that you haven’t really seen it yourself. “You’re so funny!” they say. You look away sheepishly and reply, “Really? I’ve never thought that about myself.” Then, if someone doesn’t see that trait in you, they at least know you don’t either and don’t blame you for others being misinformed. This modern form of self-loathing is often misnamed as humility. I was raised in church all of my life, where the word ‘humility’ is often thrown about but never properly defined for teenagers already neck-deep in self-hate. Don’t be proud or boastful? Uhh, easy! Don’t take credit for the goods things you’ve done? Check! I’m the best Christian ever! I cannot pinpoint this blame on any preacher or church leader. On one hand, I was told to acknowledge that all good things come from God and not me. On the other hand, I needed more reminders that I am a good thing that came from God. “God didn’t make no junk” never really resonated with me, as the bad grammar probably turned me off to the message. Instead, I went on believing/pretending that hating myself meant I loved God more than anyone else. I heard somewhere that to “love your neighbor as yourself” means you must first love yourself to know how to love your neighbor. We always focus on how to love our neighbor, but forget that the simile compares the love you should have for your neighbor with the love that you have for yourself. By this logic, if you hate yourself, you’ll treat your neighbor the same. If you cannot give yourself grace, how will you possibly offer it to others around you? We have internalized the message that forgiving ourselves for some failures is impossible, and so we withhold the same forgiveness from others. It is a poisonous cycle, one that we must reverse to even possibly change the way the world is now. In an interview with Hot 97, Kendrick stated that he wrote the song for “these kids that come up to my shows with these slashes on they wrists, saying they don’t want to live no more.” For those who don’t see the light in themselves, Kendrick offers three words to change the language they use when speaking about themselves. But I also feel as if Kendrick knows something about true humility as well. 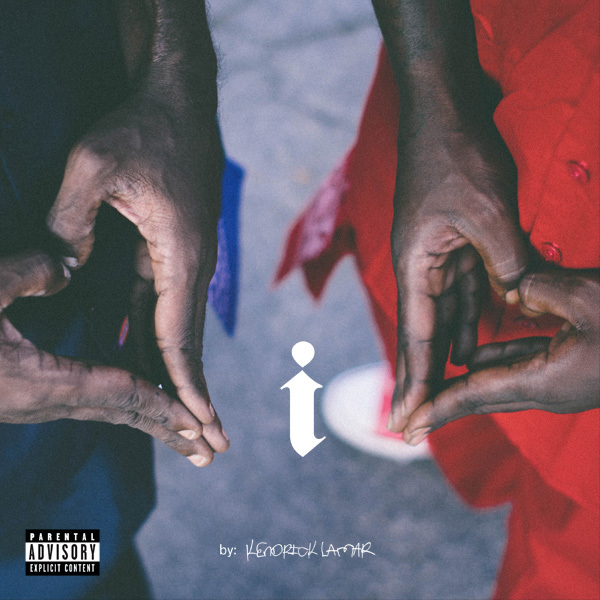 The title of the song is a lowercase i, which is printed clearly on the single artwork as well as the hat he wears during the interview with Hot 97. The lowering of the case seems to indicate that self-love does not equal pride. Loving yourself doesn’t mean you place yourself on a pedestal; it just means you recognize your worth despite your flaws. I started teaching an afterschool session with high school students about life after graduation. Each week we talk about different aspects of the college application process or college life. Today we discussed interview etiquette, specifically how to answer questions that ask you to speak well of yourself. “Uhh…” I hesitated. How much should I say about my decade-long journey to love myself with a lowercase i? I’m not sure if this was the answer she was looking for, but she started taking notes after I finished rambling. I’m no expert on how to self-love yet, but I have picked up a thing or two. And I love myself enough to believe that the ripples I set off in my students will be waves by the time they reach someone else.